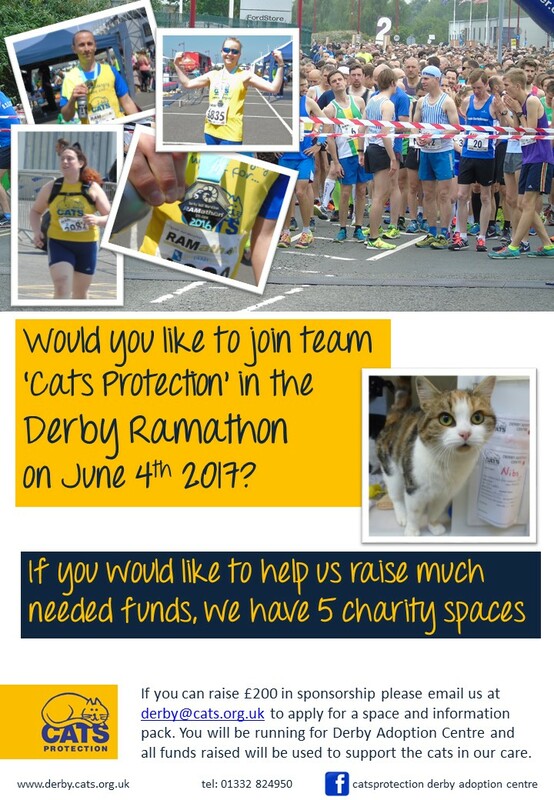 We are entering team in the Derby Ramathon again this year and still have spaces if you would like to run for us. It is a half marathon and takes place on 4th June 2017. Simply email the centre on derby@cats.org.uk to apply for a space.